This is a listing of RSS feeds provided by IIUG.org. RSS (Really Simple Syndication) is used to distribute news, or news-like content to subscribers who use RSS readers to display the content. RSS allows you stay ahead of what's new without having to browse every site you normally visit. An RSS reader can aggregates content so that you can view headlines from multiple RSS feeds. RSS feeds can also be parsed and presented in other ways in suit your needs. 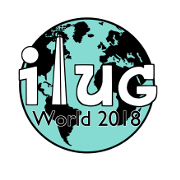 IIUG feeds follow the RSS 2.0 specification. To learn more about RSS please go here. To see any of the IIUG RSS feeds in action click "Details". To add one to to your browser-based reader, click one of the icons, or see the details page for information on how to add feeds to other RSS readers, and where to find an RSS reader if you don't already have one.